Egremont was launched on 12th December 1951 by Philip and Son of Dartmouth as a diesel-engined ferry to serve the Mersey crossings between the Liverpool Pier Head landing stage and ferry stations on the Wirral shore of the river. Taken out of service in 1975, Egremont retains the hull form which was characteristic of Mersey Ferries of the 1950s and 1960s (as reflected in her sister ship Leasowe and later vessels such as Woodchurch and Daffodil). Her engines were stripped out when she was sold in 1975 to Fred Oldhand Ltd. 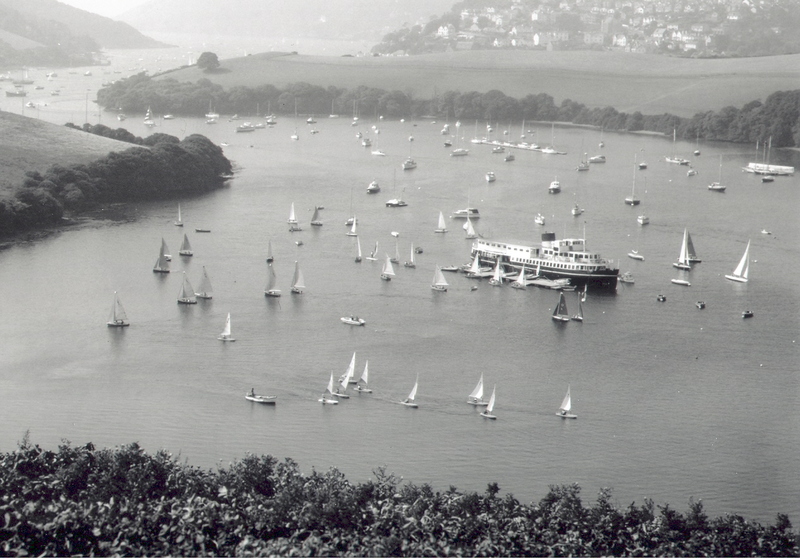 In 1976 the engine and boiler rooms were converted to provide accommodation in her new role as the headquarters ship for the Island Cruising Club in Salcombe. Her profile aft of the bridge has been altered by the installation of new club accommodation. However, many of her original features remain, including hull, upperworks, superstructure and characteristic Mersey ferry funnel. Egremont is the only Mersey Ferry to be retained once taken out of service, with her subsequent function reflected in the conversion she has undergone. 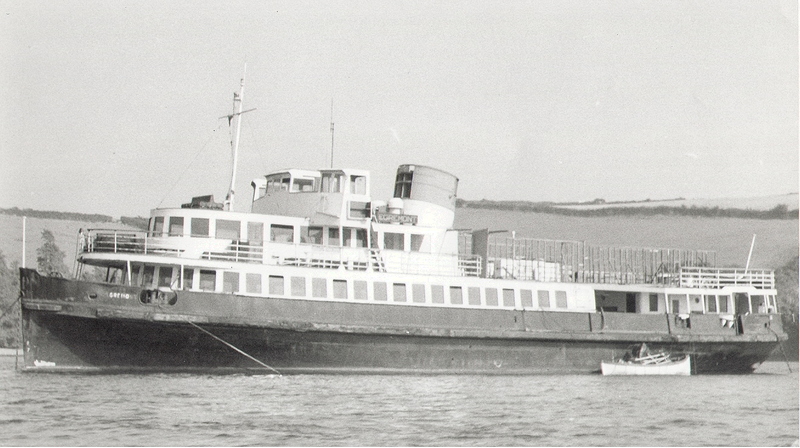 The remaining operational ferries – Mountwood, Woodchurch and Overchurch have undergone extensive refits after a period of neglect, and have all been re-named. Egremont is therefore the only ferry retaining her original name and after a brief foray into a different colour scheme,has now reverted in the main to her original Mersey livery. This ship and enjoys considerable public access through those taking training courses run by the club, and is a major maritime presence on the Kingsbridge estuary. Mersey Ferries provided a vital link between the Wirral conurbation (comprising Bromborough, Birkenhead, Wallasey and New Brighton) and Liverpool. The service was at its height from the turn of the 20th century, through the 1930’s (when large estates of private housing were built on the Wirral) to the late 1960’s when Merseyrail modernised the over-ground and underground system serving both sides of the river. Thereafter the service slowly declined as a commuter link, but has now been given new purpose as a tourist attraction. Egremont was in active service over a period of intense change for Liverpool and the Wirral, when the ferries enjoyed iconic status through the 1960’s TV comedy series Liver Birds and the ‘Mersey Sound’ pop group Gerry and the Pacemakers’ film and hit song Ferry ‘Cross the Mersey’. Egremont has further important associational connections as a Philip and Son vessel, a company which built so many of these ferries and vessels of similar size, including three large 1950’s diesel pilot cutters for the Mersey Docks and Harbour Company, of which Pilot Cutter No. 2 Edmund Gardner survives as a museum vessel in the National Historic Fleet, presented in a graving dock at the Pier Head in Liverpool as part of Merseyside Maritime Museum. Egremont displays the bluff bows and broad beam that are the mark of the renowned sea-keeping qualities of the Mersey ferries, designed to give stability in the strong tides and short steep seas that characterise this estuary crossing even in relatively calm conditions. She has wide, covered side-decks which protected passengers from the weather, internal saloons, and promenade deck (used by passengers to take exercise by walking anti-clockwise round the ship), the latter surviving intact within the club accommodation installed in the mid-1970s. The superstructure survives intact, with a prominent squat funnel, central covered wheelhouse, and enclosed flying bridges to give good visibility when coming alongside the landing stages. Therefore although there have been discernable changes to Egremont, overall she retains the form and character of one of the UK’s most recognisable and well-known estuary ferry services. The Mersey ferry EGREMONT was launched by Philip & Son at nearby Darmouth on 12 December 1951 for the Wallesey Corporation, which operated ferry services across the Mersey to Liverpool from Seacombe and New Brighton. With her sister ship LEASOWE, she formed the Wallesey Corporation fleet. Named after a suburb of Wallesey, the ship reached a top speed of 13.38 knots during her sea trials and then left the Dart for Liverpool on 31 March 1952. She could make up to 100 crossings between Seacombe and Liverpool in twenty-four hours, and thirty-four trips between Liverpool and New Brighton in a fourteen-hour period. On 1 December 1969, the Wallesey ferry fleet merged with the Woodside (Birkenhead) fleet under the newly formed Mersey Passenger Transport Executive. The white and black funnel of EGREMONT's original livery was repainted in primrose yellow and powder blue, and later became emerald green and black. In 1971, the ferry service from New Brighton was withdrawn. EGREMONT continued in service until 1975 and was then laid up in Morpeth dock for a year whilst a buyer was sought. During this time, she sprang a leak, which damaged her engines and other equipment, rendering her inoperable. 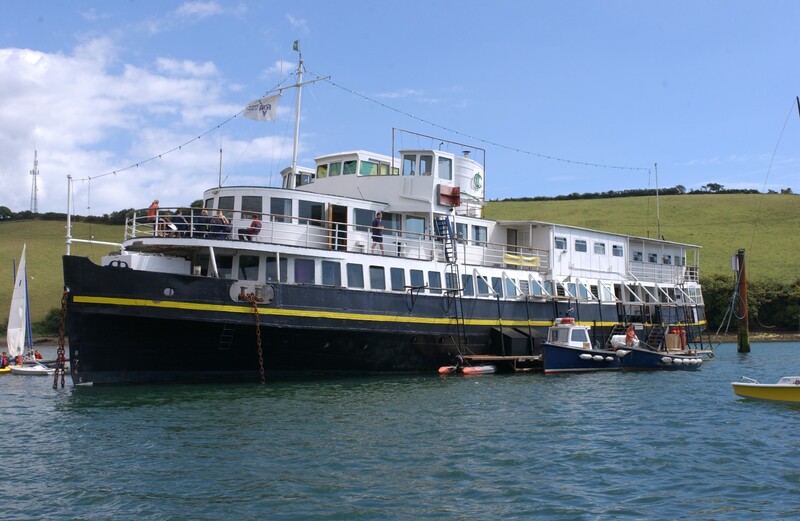 She was sold to Frederick Oldhand Ltd, who stripped out her machinery and sold her on to the Island Cruising Club (ICC), Salcombe, where she was to replace the ageing former naval patrol boats KIWI and WESTWOOD as the club’s headquarters. Club members converted her and she can now accommodate ninety people, including staff, with approximately one thousand people passing through her each season. Opening for her first season in 1977, her hull was painted dark green, with white upperworks and a yellow funnel with black top. Latterly, she has had a black hull with a yellow band, and a white funnel, resembling her historic colours. EGREMONT was moved to Sharpness Shipyard in late 2016 for repairs and conservation work as part of a long-term project. Substantial repairs were carried out before funding ceased and the hull is largely finished with only some minor work left where dock blocks could not be moved. The remainder of the ship has been stripped out pending a confirmed end use. Records for this vessel are held by the Egremont Trust and Dartmouth Museum. These include a photographic archive and original build plans. Taken out of service and sold to Fred Oldhand Ltd.